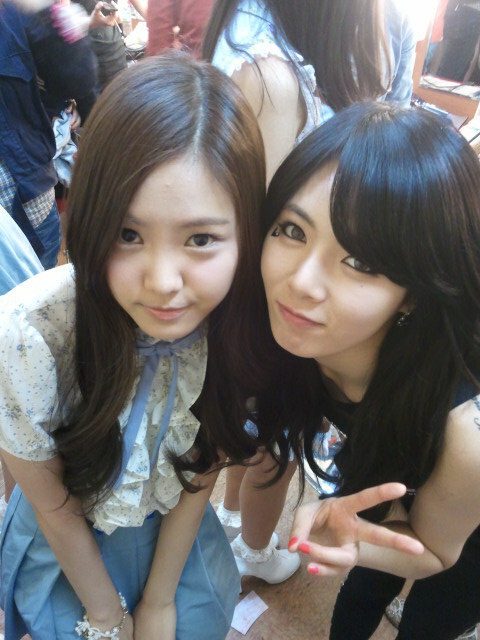 4Minute's HyunA & NaEun. . Wallpaper and background images in the Korea Girls Group A Pink club tagged: naeun. This Korea Girls Group A Pink photo contains bridesmaid and maid of honor. There might also be bearskin, busby, shako, portrait, headshot, and closeup.